Covering events in Dallas, Texas from 22-25 November 1963, Parkland takes a behind-the-scenes look at the assassination of President John F. Kennedy, and the people who were involved both on the day and in the aftermath. From the opening showing Kennedy at Fort Worth before travelling to Dallas to the final scenes involving the burial of Lee Harvey Oswald (Strong), the movie paints an intimate portrait of the men and women who dealt with one of the most emotive events in American history, from the trainee doctors and nursing staff at Parkland hospital – where Kennedy and Oswald were both taken after they were shot – to the President’s Secret Service detail led by Forrest Sorrels (Thornton), to Oswald’s brother Robert (Dale) and mother Marguerite (a frightening Weaver), to the local FBI office who had Oswald there only a week before, and most effectively, to Abraham Zapruder (Giamatti), the man fated to film the death of a President. 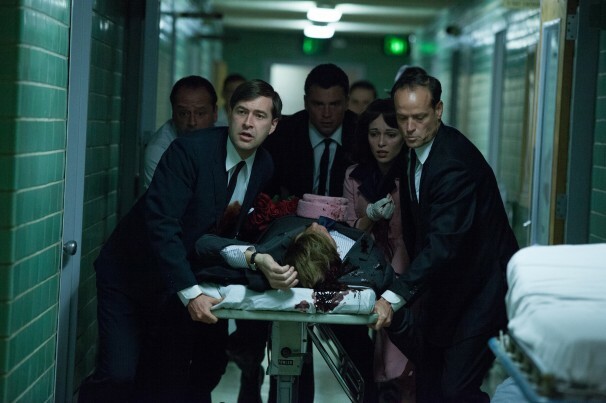 All these stories coalesce to make Parkland an engrossing, gripping drama where some of the smaller details have the greatest effect: the sheer number of people who gather in the emergency room where Kennedy is worked on; Robert Oswald asking a member of the press to be a pallbearer; Zapruder asking a lab technician for three copies of the film, one for the Secret Service, one for the FBI, and one for himself; and Jackie Kennedy clutching something in her hand that proves to be a piece of her husband’s skull. First-time director Landesman juggles the various story lines with an ease that belies his lack of experience, and the cast raise their game accordingly; Giamatti in particular is a standout. 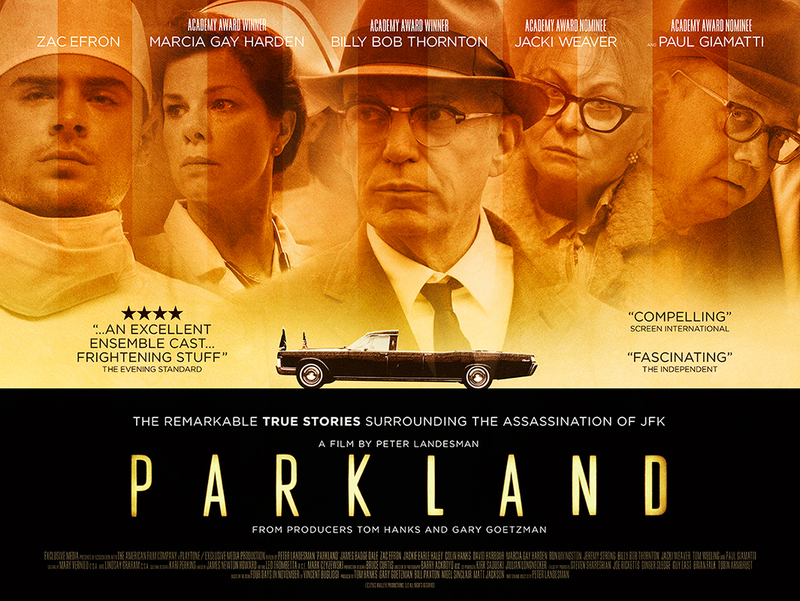 A fine addition to that sub-genre of American history movies, the JFK era, Parkland impresses with its level of detail and its clearcut approach to what is still a very contentious event. Rating: 8/10 – studious and compelling in equal measure, Landesman’s debut draws you in and never lets go.